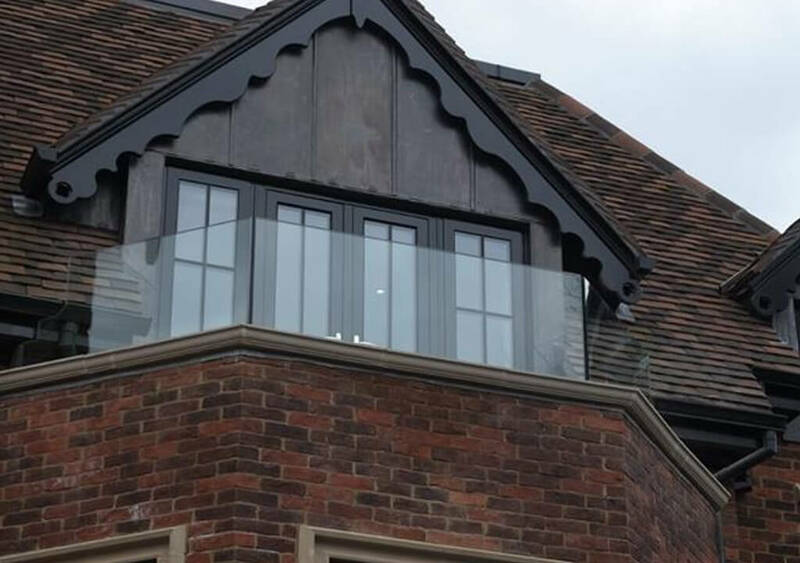 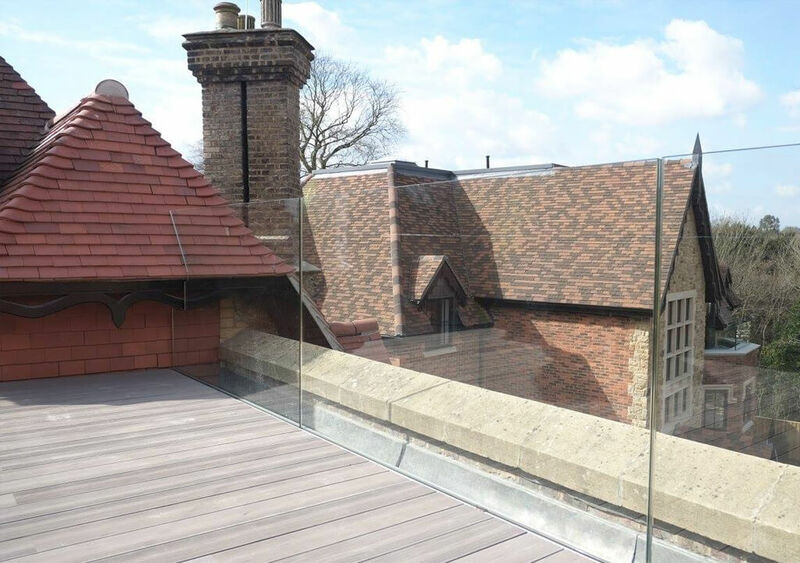 As local specialists of glass balustrades in Surrey and West London, we’ve noticed a serious increase in the popularity of glass balustrade installation requests within domestic settings as well as commercial. 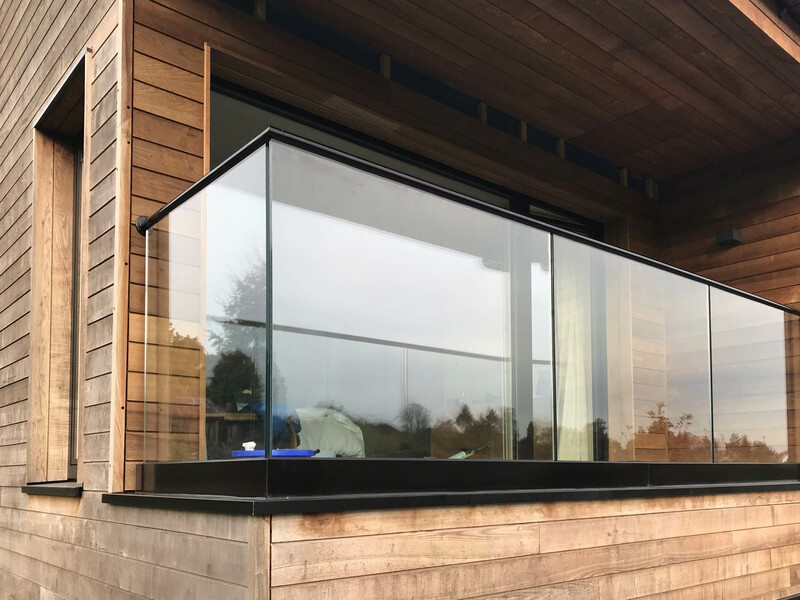 By improving the layout of the property with gleaming glass balustrades, their unparalleled elegant weightlessness provides the perfect way to increase the illusion of an extended home without compromising on the properties views. 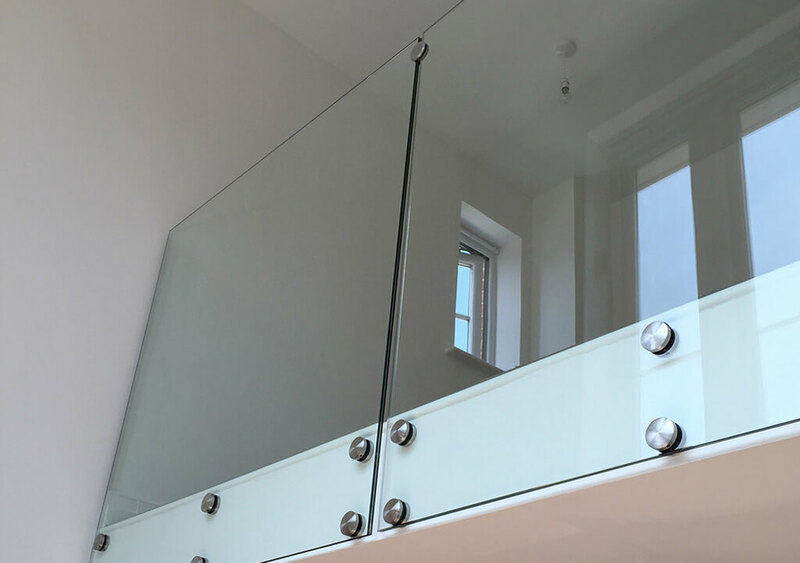 Glass balustrades offer endless bespoke interior design solutions, including balconies, staircases, screens and walkways. 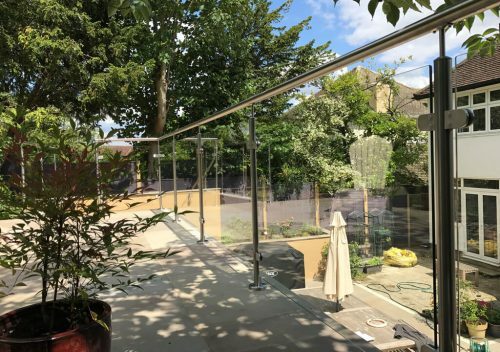 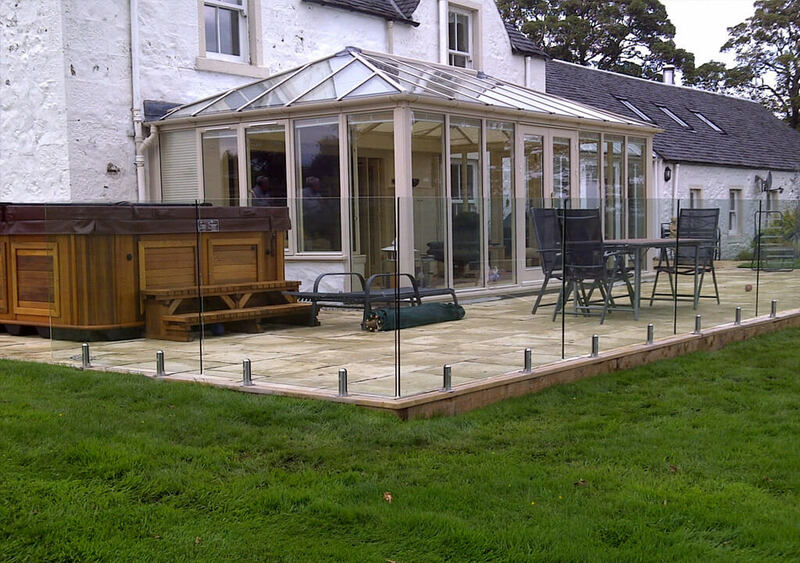 Often utilized as safety barriers in the home, glass balustrades are ideal for large family homes as they’re incredibly safe, durable and versatile. Safety conscious homeowners can even heighten safeguards further with the likes of toughened, safety and tempered glass balustrade upgrades. 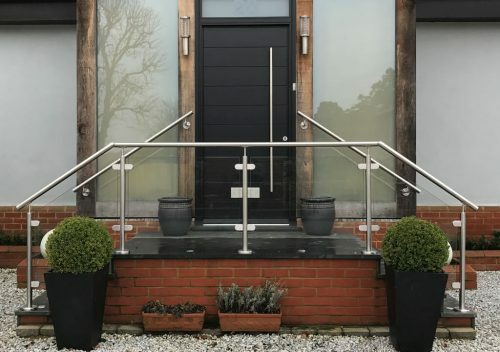 Privacy can also be maintained with the likes of textured and frosted balustrade enhancements too. 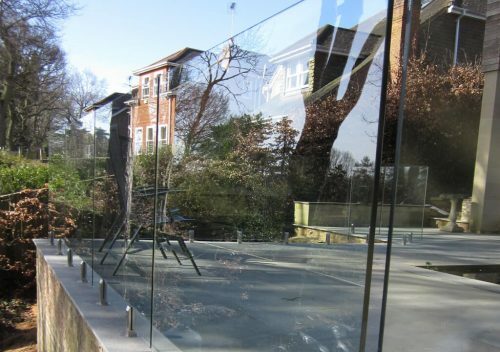 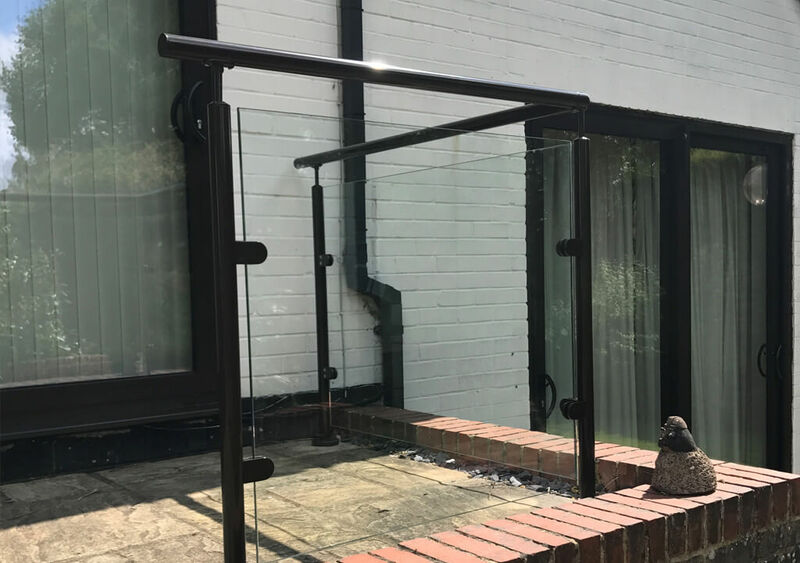 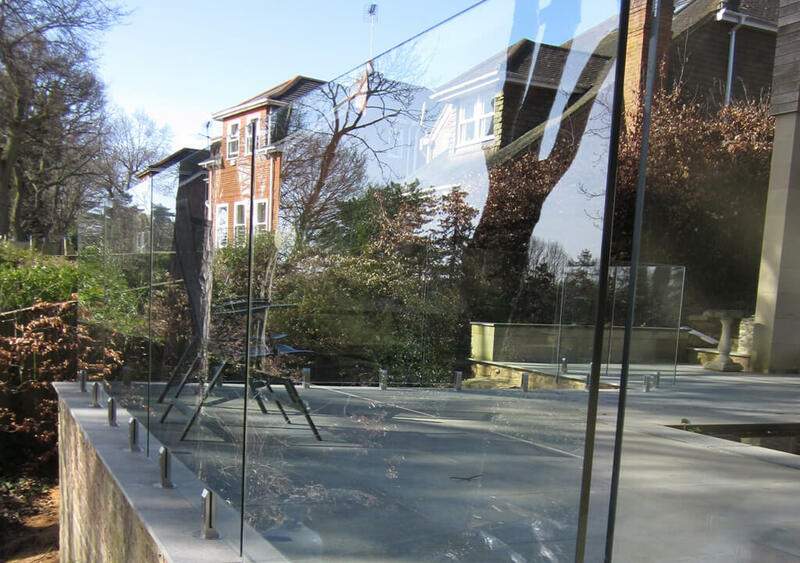 P&P Glass is also proud to offer what is considered a ‘frameless’ glass balustrade, which minimises the amount of space taken up by the balustrade, allowing for more light to be let through them. 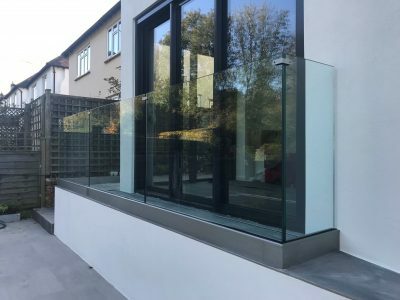 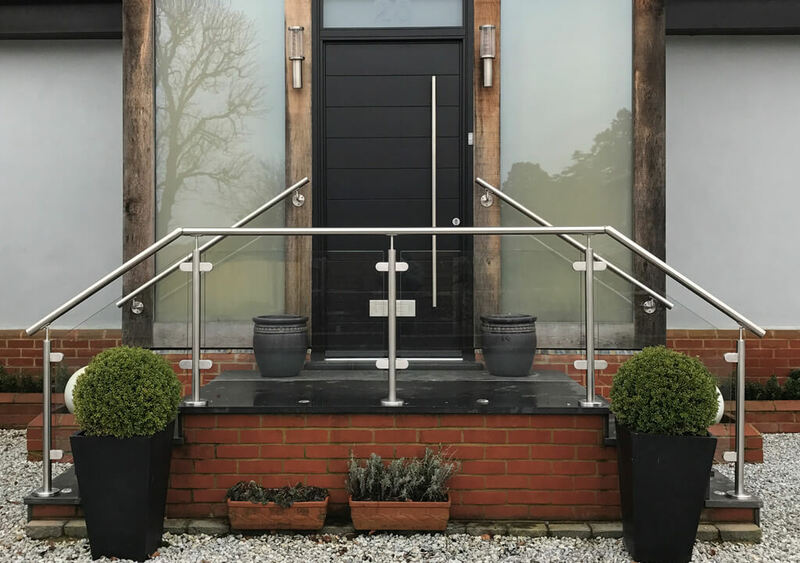 Truly boosting the quality of life of diligent homeowners in Surrey, the appealing open aesthetics of glass balustrades offer the ultimate ultra-modern ‘wow-factor’ that many buyers are searching for. 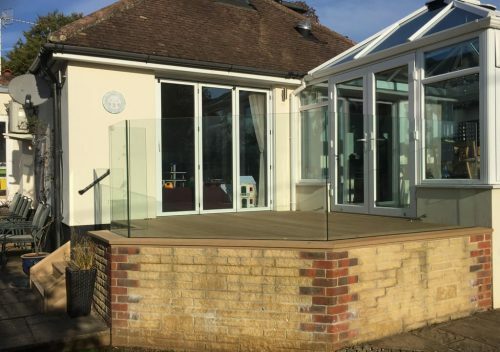 With P&P glass balustrades starting from £399 per linear meter, this cost-effective home improvement opportunity has the power to add considerable value to the price of the property too. 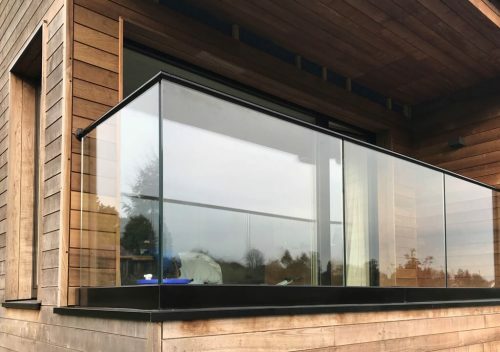 Have a browse through our product gallery below to gain valuable inspiration for your very own glass balustrade project. 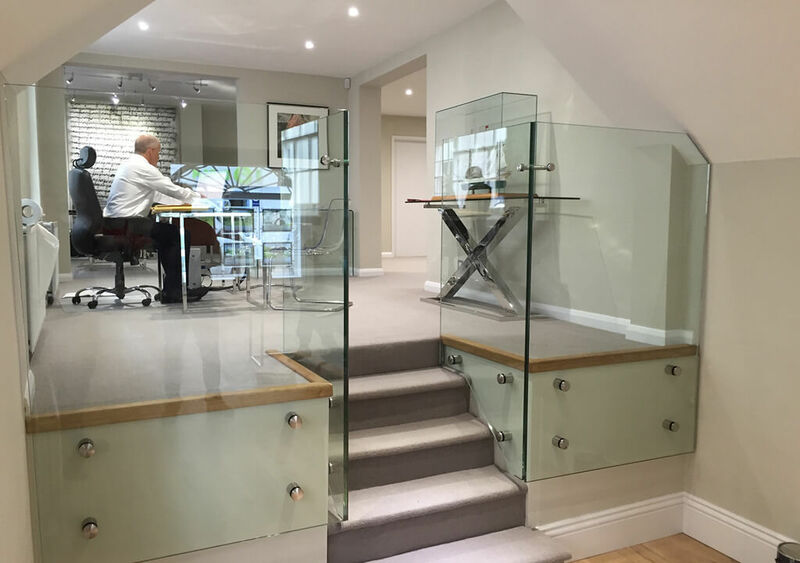 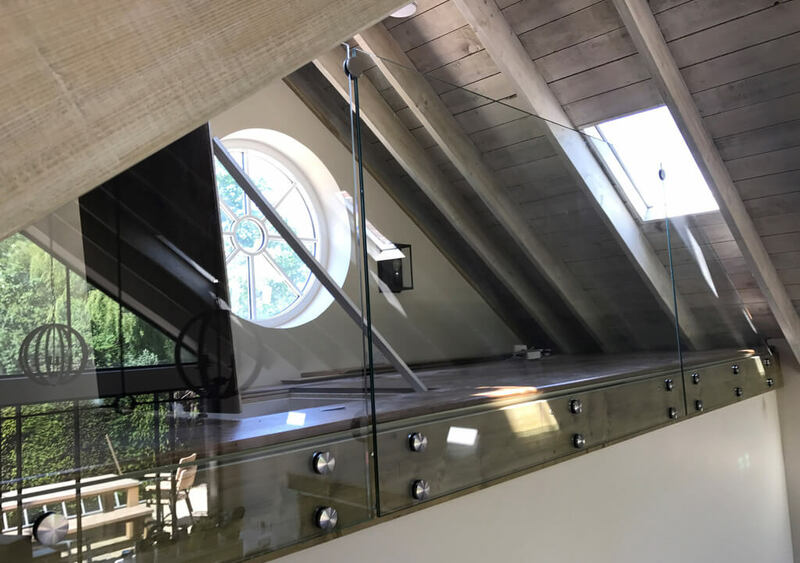 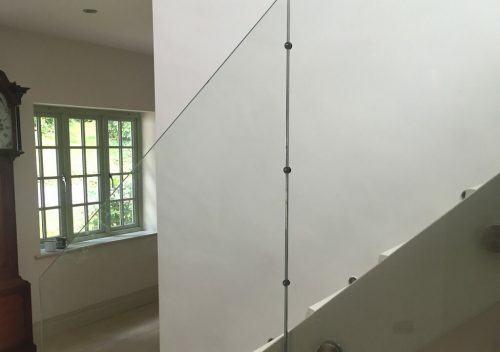 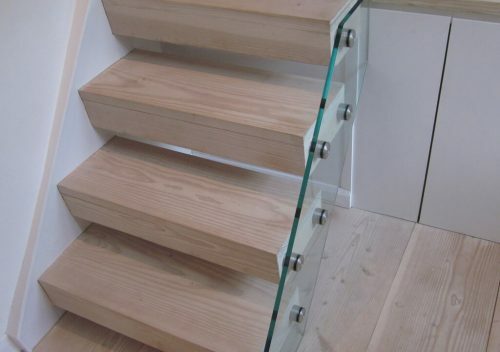 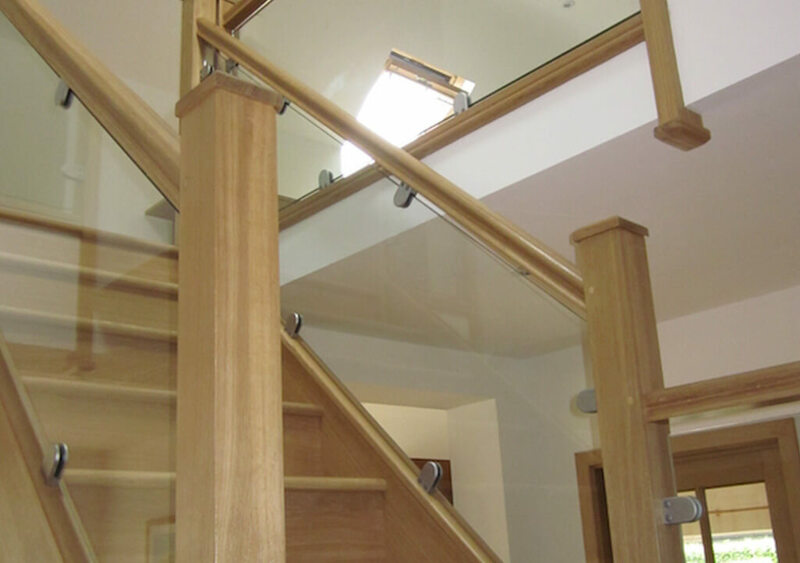 Glass balustrades that are installed in an internal residential application are generally only required to be 900mm in height, in accordance with building regulations. However, many homeowners prefer their balustrades to be 1000mm to 1100mm high, as 900mm can appear unsafe – especially if the balustrade is protecting an area of considerable height. 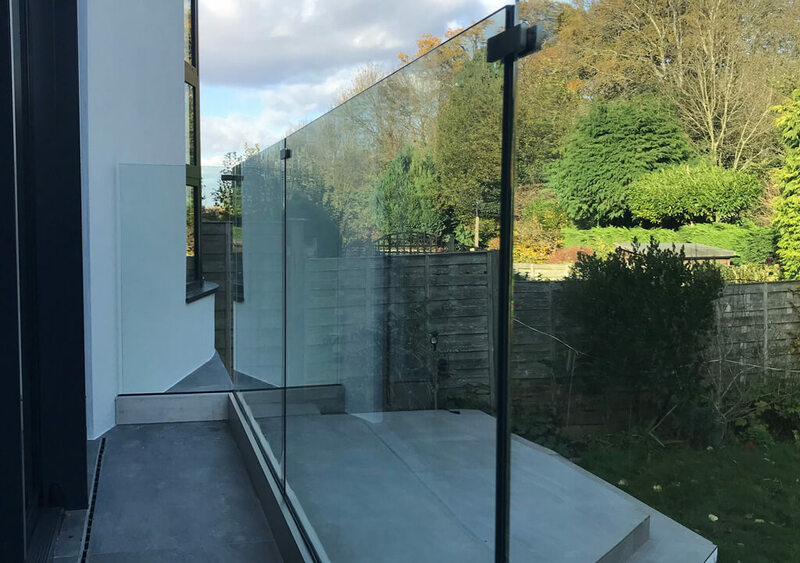 It is important to remember that for external residential applications when protecting ample height the regulatory height minimum must be 1100mm. 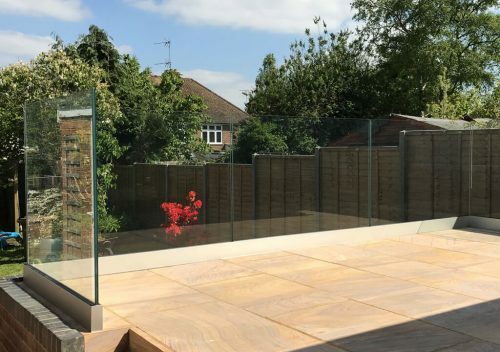 Note: Where a balustrade is installed on a raised or dwarf wall, the 1100mm height restriction must be measured from the wall and not the finished floor level. 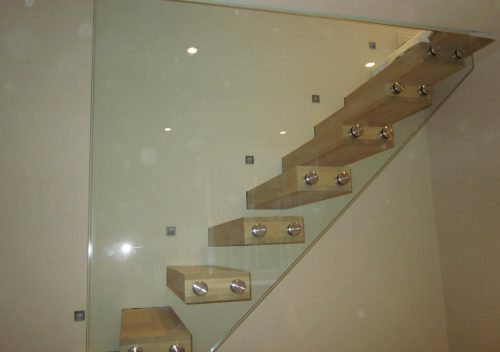 This is because the wall can be used as a “step-up” point.